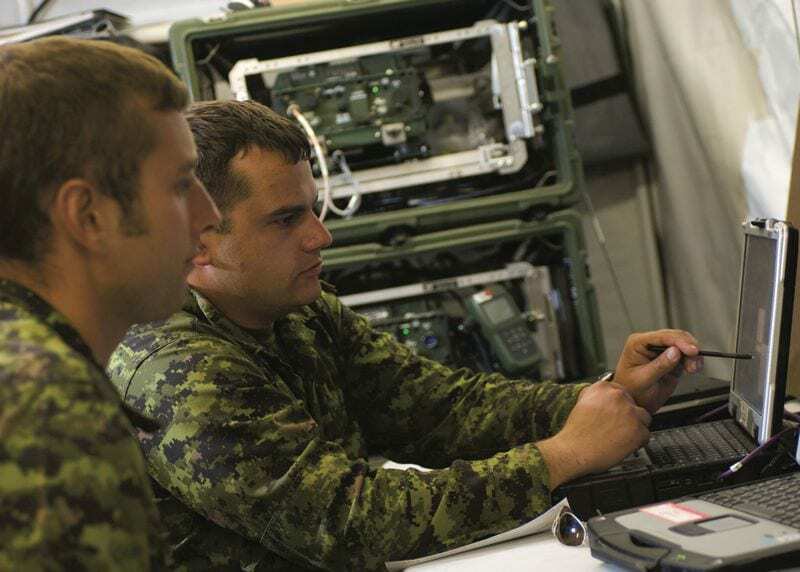 One of the challenges with the ongoing proliferation of intelligence, surveillance, and reconnaissance (ISR) capabilities across joint service and coalition military forces involves the integration and compatibility of that data to support operations in a complex environment. 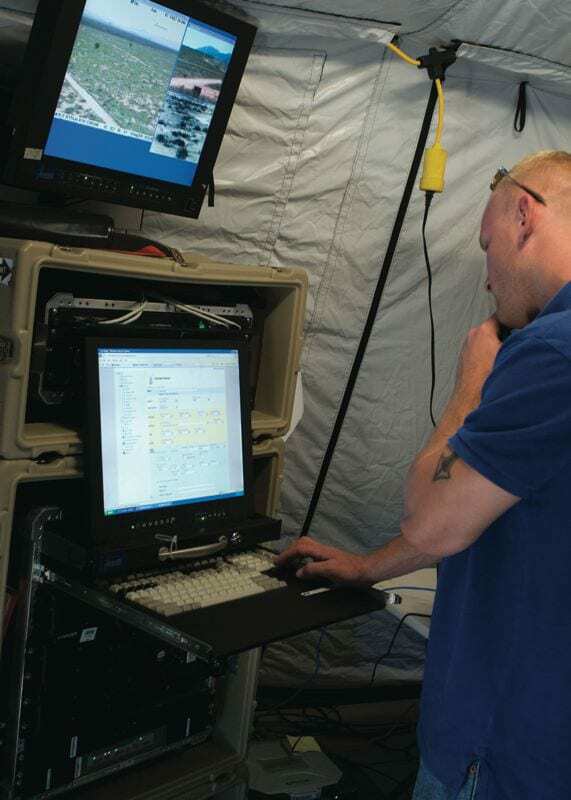 The foundation for a formalized program to address those myriad challenges began to be built in the late 1990s, when the National Geospatial-Intelligence Agency (NGA) began working with the Common Imagery Ground/Surface System (CIGSS), Distributed Common Ground/Surface System (DCGS), Joint Interoperability Test Command (JITC), and United States Joint Forces Command (USJFCOM) in an effort to provide core imagery exploitation processing, storage, exploitation components, and functions for integration within the CIGSS and DCGS elements. In 2004, those activities were expanded into “Empire Challenge.” The multi-year effort, led by NGA in coordination with coalition partner representatives, had the initial aim of improving coalition interoperability within the imagery intelligence architecture. Those first events were held at the Naval Air Warfare Center Weapons Division at China Lake, Calif. Empire Challenge 2010 (EC10) marked the seventh iteration of the annual series. With demonstration lead having shifted to USJFCOM, the 2010 event shifted venues to Fort Huachuca, Ariz., where the focus was expanded to address near-term capabilities that meet warfighter challenges – as identified by combatant commanders, national agencies, and coalition partners – that could be rapidly delivered to warfighters in Afghanistan. “Empire Challenge is an ISR interoperability demonstration that is sponsored by – which means funded in part by – the Under Secretary of Defense for Intelligence,” explained USAF Col. George “Skip” Krakie, who directed EC10. “It’s also funded by Joint Forces Command and all of our participants. Joint Forces Command executes the event on their behalf, so they tell us what their objectives are and then they leave it to us to put those objectives together into a coherent event that we then execute. In addition to direct visits and/or participation by the U.K., Canada, Australia, and New Zealand, Krakie highlighted the presence of “about 12 other nations back at our headquarters at Joint Forces Command participating as well. So it is a multinational event. It is also a live event, where we do bring some simulations in, but we bring the live assets in as well. Examples of live assets participating in this year’s event included aerostats; E-3 NATO Airborne Warning and Control Systems (AWACS); Beechcraft A90 (surrogate ISR platform); Cessna 208 (surrogate ISR platform); DHC-6 Twin Otter (surrogate ISR platform); E-8 Joint Surveilance Target Attack Radar System (JSTARS); EH-130C Compass Call; F-16C+ and F-16CM; P-3C; RC-135 Rivet Joint; RQ-4 Global Hawk unmanned aerial system (UAS); ScanEagle UAS; TAOS wide area persistent surveillance program (mounted on the Twin Otter); U-2 Advanced Synthetic Aperture Radar System (ASARS) 2A; U-2 Optical Bar Camera; U-2 Senior Year Electro-optical Reconnaissance System (SYERS) 2A; Valiant Angel (integration of collection sources and architecture to improve full-motion video); and unattended ground sensors (UGS) from the U.S. Army Research Lab “Family of UGS” initiative. Elaborating on the theme, he said, “We do assessments. In other words, it’s not a ‘science fair.’ It’s not a ‘trade show.’ They are here. They are getting assessed. And we are giving them feedback on how well they are doing in terms of warfighter utility; and how well they are doing as far as interoperability. Reflective of the Afghan operational influence was an EC10 demonstration scenario focused on regional command levels and below. Within that framework were five Joint Capability Threads that helped to refine the demonstration objectives: DCGS [Distributed Common Ground System] Enterprise Interoperability (DCGS is the United States’ ISR architecture for exploiting intelligence collection, with each service having a DCGS element and the “enterprise” allowing the service capabilities to operate together); command and control (C2) and ISR integration to support operations in a complex environment; C2 and ISR management to achieve persistent surveillance over key terrain; ISR support to Joint Close Air Support (JCAS)/Strike to achieve combat effectiveness and minimize civilian casualties and fratricide; and information sharing to support multinational/whole-of-government interoperability. In the case of the last capability thread, Krakie cited the example he was given where a senior commander in Afghanistan was watching video imagery coming from an AC-130 gunship. Cautioning against the risks of “technology overload,” Krakie suggested that visitors focus on a few key themes evident throughout the event. “The first is multinational interoperability, that we can share data between our multinational partners,” he said. “And you will see that we focused on the ISR assets that provide support to forward operating bases in Afghanistan or Iraq – sensors and aerostats and unattended sensors – and how those ‘talk’ to each other. “The other thing that we work very hard on with Empire Challenge is pushing as much ISR data as we can to the warfighter at what we call ‘the tactical edge,’” he added. “That’s the guy who is walking around with a rucksack or driving around in a Humvee who may only have a radio or some sort of hand-held device – if he’s lucky he has a laptop computer. How do we get data to him to help him carry out his mission? “So as you look at all of the technology that we have out here, keep thinking in the background: That’s great, but what we are really doing is making sure that everyone can share that data and then making sure that it is getting to the guy who needs it the most,” he said. 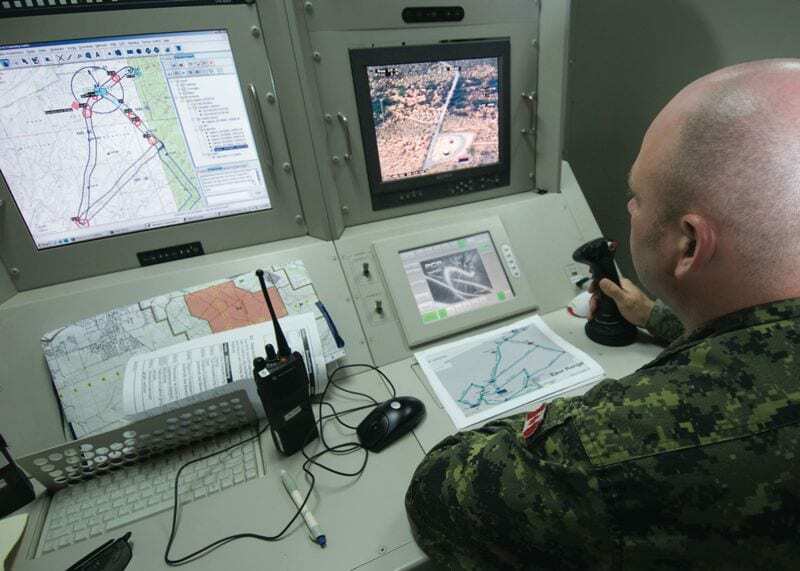 Several excellent examples of achieving the demonstration goals were evident at Forward Operating Base (FOB) Ypres, which had been established by Canadian Forces on Fort Huachuca’s east range. Highlighting a sensor integration capability named LONGHOUSE, FOB Ypres fielded a Persistent Surveillance Suite (PSS), including an aerostat with EO/IR cameras and a tower with EO/IR camera and Man-portable Surveillance and Target Acquisition Radar (MSTAR); an Acoustic Weapons Locating System; a Coyote reconnaissance vehicle sensor suite; and a self-healing network of unattended ground sensors and electronic warfare sensors. In addition to feeding data collected and products produced at FOB Ypres into a coalition-shared database, other significant accomplishments of Canadian participation in Empire Challenge 2010 included the successful integration to project Canadian “blue force” friendly icons onto cockpit screens in F-16s flying close support missions, a critical capability to minimize future fratricide risks. 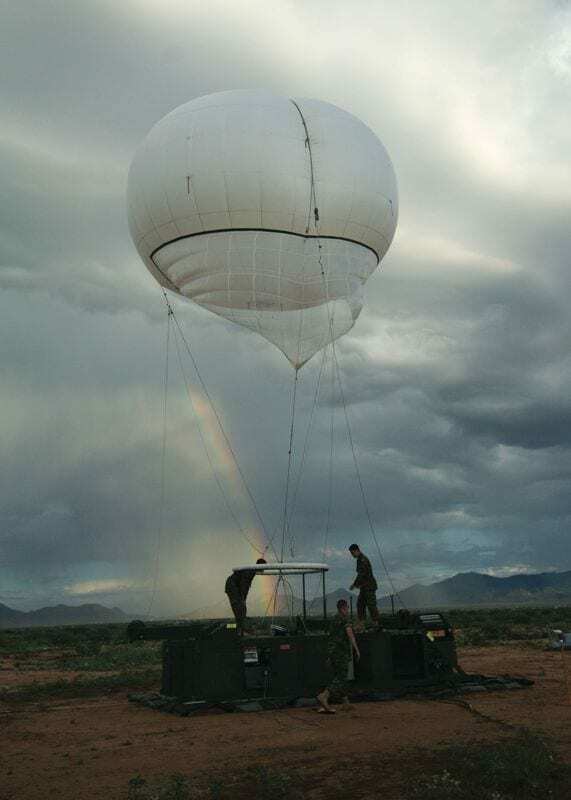 The critical U.K. objectives reportedly included the integration of ISR data from the U.S. aerostat-based Persistent Ground Surveillance System (PGSS) with the U.K. CORTEZ ISR system. “My counterpart [from the U.K.] who was here, every night was on the phone to Afghanistan, explaining to them what they were doing here. And they were fixing things in real time in Afghanistan. So they got the technical piece fixed. They wrote the tactics and Conops [concept of operations] on how to use it and they also built some other things. In one case they had their command center at one location and the PGSS command center at another location. When they started at the beginning of the week they were having to run back and forth to tell the operator how to move the sensor. But by the end of the week they had ‘chat’ connectivity to him. Now I know that sounds like a minor thing if they were just a couple of feet apart, but when they are across a FOB you really need to have that electronic capability to chat and pass information,” he said. Krakie added that the NATO AWACS participation in Empire Challenge included a desire to control the ScanEagle UAS. Reflective of ScanEagle’s growing fielding on U.S. Navy shipping, subsequent discussions with NATO AWACS representatives indicated that achieving the objective could have great applicability in future antipiracy operations off the Horn of Africa. 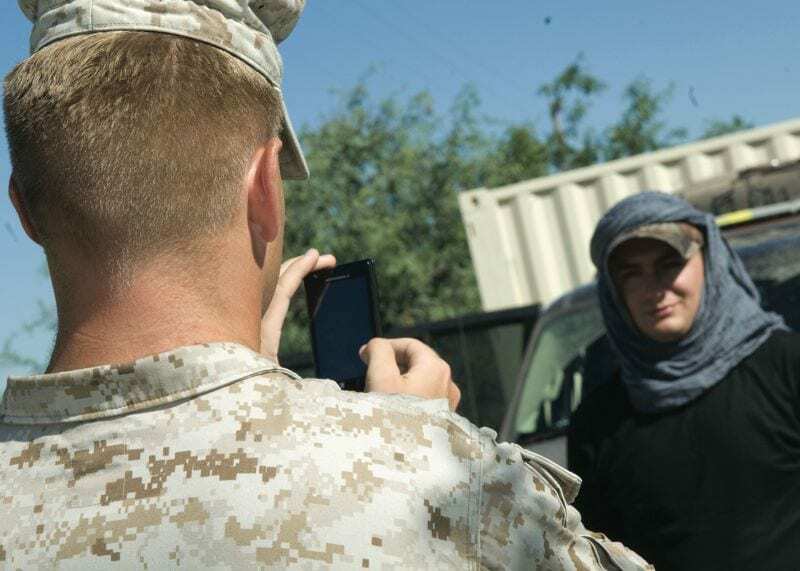 Another area of expansion from Empire Challenge 2009 – the last demonstration held at China Lake – was to increase the information on the common operational picture available to Marines and soldiers operating on and near the tactical edge. The new UAS “directional view” capability reportedly involves tweaking a “minefield location” capability that already exists within the system. Additional Empire Challenge 2010 activities were encompassed within “Green Devil II,” a collaborative effort between Marine Corps System Command and the Office of Naval Research to illustrate the ability to collect, fuse, transport, analyze, deliver, expose, and act upon persistent and non-persistent multi-INT sensor data. The initiative comprises all elements and processes needed to get the data from the sensor to the shooter. Deliverables from EC10 include an assessment report submitted on Oct. 1, 2010, that will help to accelerate the planning processes for Empire Challenge 2011. Looking toward next year’s event, Krakie acknowledged some overlap with the 2010 goals. He continued, “I will be honest with you. The whole of government was a ‘stretch goal’ for us. We did not do enough on that this year. So that will be a major push next year, in EC11, to work whole of government. And also, going beyond the government side, how do you share with NGOs [nongovernmental organizations]? If you have information that they need so that they can go into an area and safely work to carry out their missions, how do you do that? So we will be working that next year. This article was first published in The Year in Defense, Winter 2011 Edition.